Prior to the winter break, I started a Personal Essay unit with my third graders. Though I am not usual a personal fan of super structured writing I have been enjoying watching the students make progress using what they learned from personal narrative writing and applying it to the evidence portion of their essays. I started the unit relying heavily on structural elements and focusing less on the content. As we progressed, I hit heavily on elaboration and body paragraph structure. Now that students have a good handle on the structure I wanted to take each element of the essay and really pull it aside to teach students how to focus in and revise these pieces individually. I came up with a way to separate the elements while making it easy to put them all together once the parts were polished. I purchased some folders at the beginning of the year unsure of how I would use them. Turns out they are perfect for this project. They are a plastic two pocket folder with a clear cover that can have an insert. 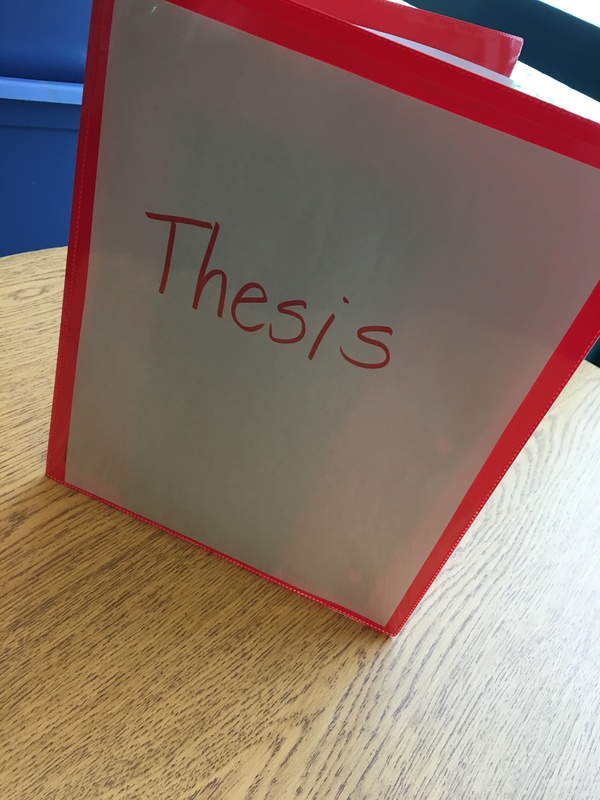 For the cover, students will place their thesis/opinion statement. Inside the folder, each pocket can house the introduction and the conclusion. 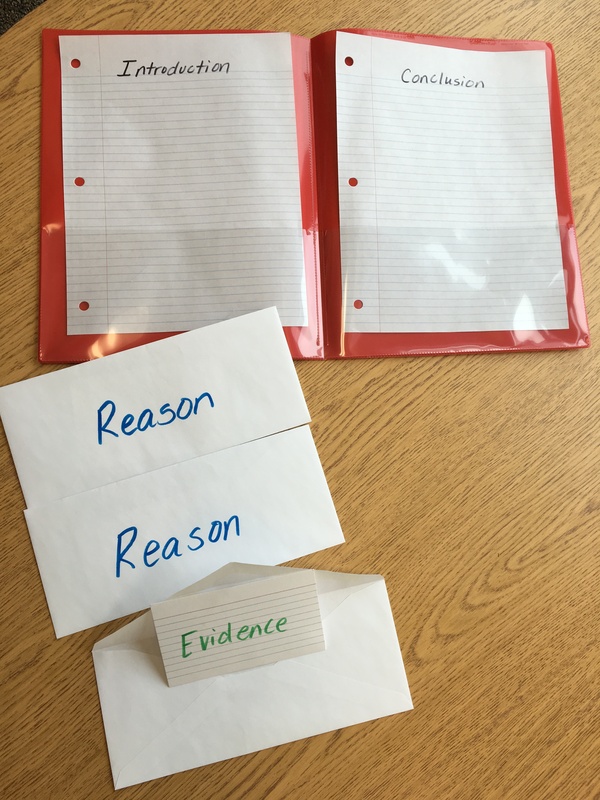 Using envelopes, students can write a “reason” that supports their thesis. Inside the envelope, students are able to write notes, lists, and topics for their personal evidence and stories on note cards. Once all the elements are in place, it is easy for students to lay their entire essay out on a table or counter-top to see the order of their essay and work on each portion. What tools do you use to help teach students structural elements of writing? I’m really looking forward to students working through this process as we write our final essays of the unit. Thank you for this article! 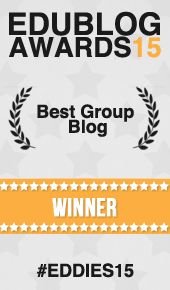 I am going to share it with our 3rd grade team! I really like the way you broke this down. We are in a literary essay unit right now and it is very challenging for my class. We’ve read samples, written one together, and I’ve helped them come up with the summary and big idea of a story and they still struggle to write the easy. It feels like I am doing all the work, but I think it is just a very unfamiliar genre for them and many of them are not used to writing in this way. I am going to follow your suggestions and break down the paragraphs in a similar structure. Thanks! Great post! I will use this concept when my kids have to write an essay. Thanks for sharing!